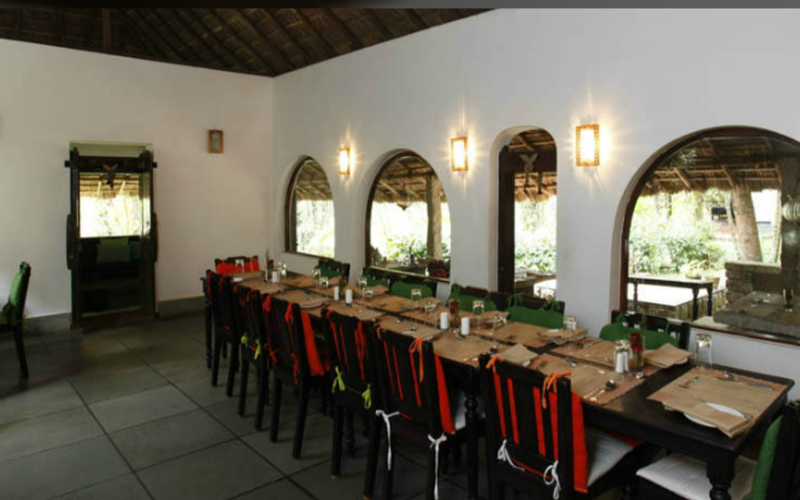 The Shalimar Spice Garden is located some 2500 ft above sea level and is set in five acres of lush landscaped gardens with palm and mango groves, nutmeg and cardamom trees. 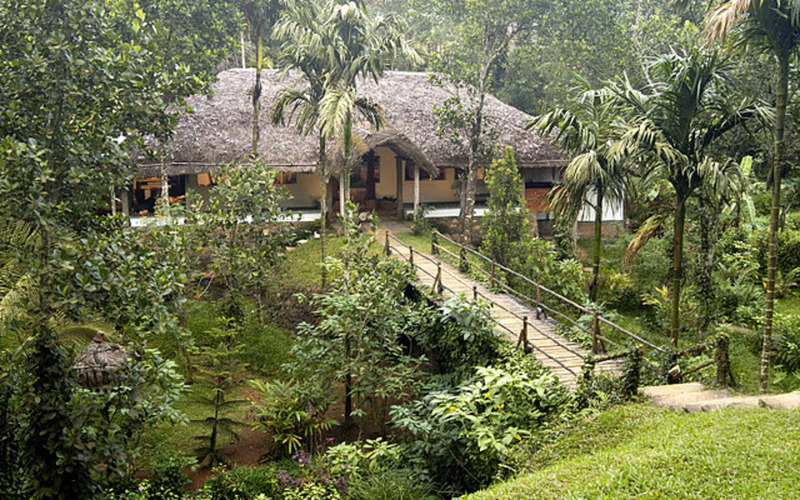 A wooden suspension bridge leads into this beautiful resort which offers cottages and rooms hidden in the woods. 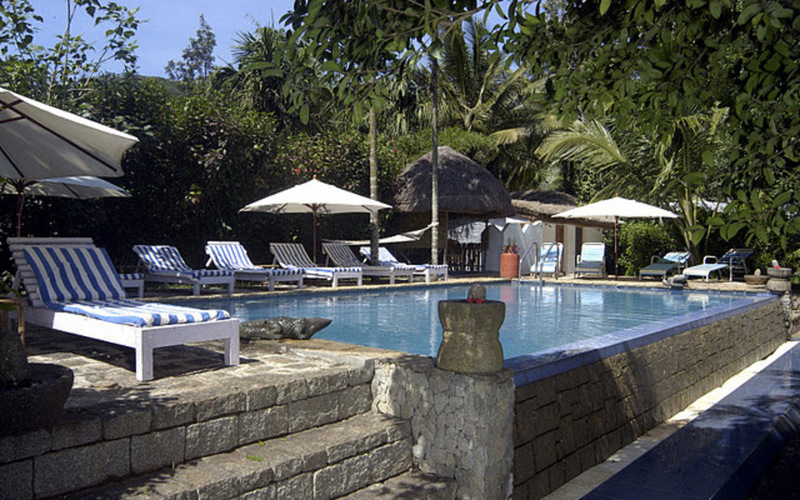 Seven standalone cottages and eight rooms are arranged in clusters of two or four with private verandas. 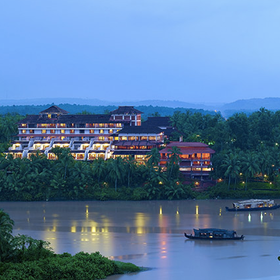 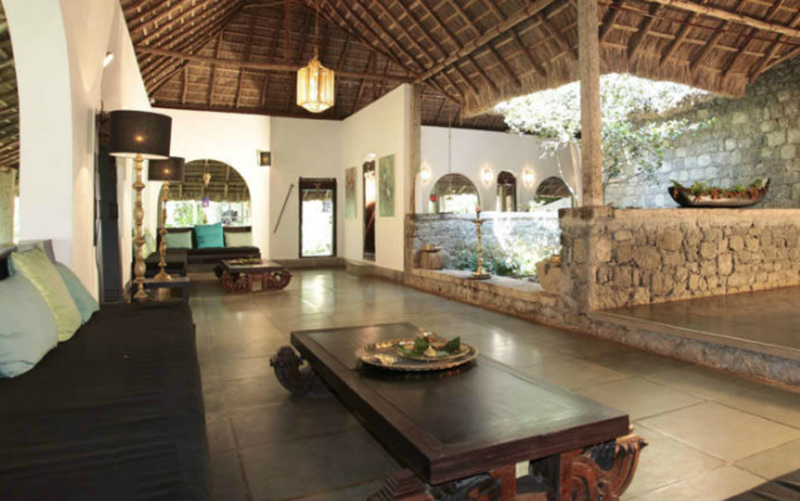 Each of the rooms is built in the traditional Kerala style of architecture with wooden beams, wide verandas and thatched elephant grass roofs. 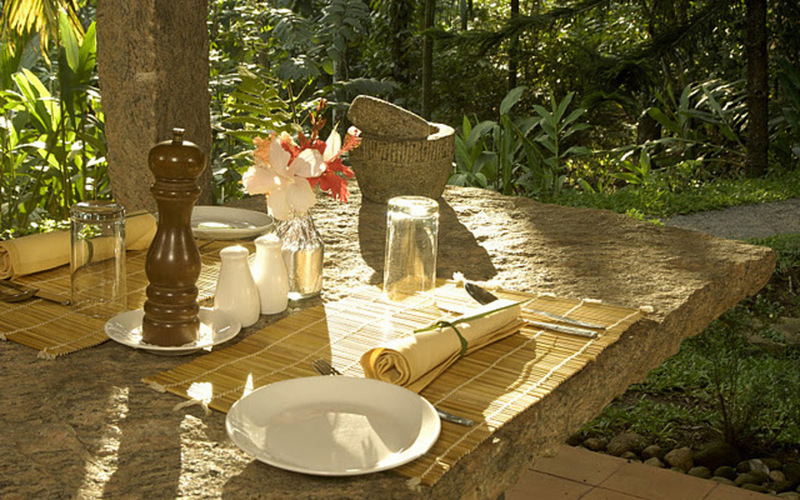 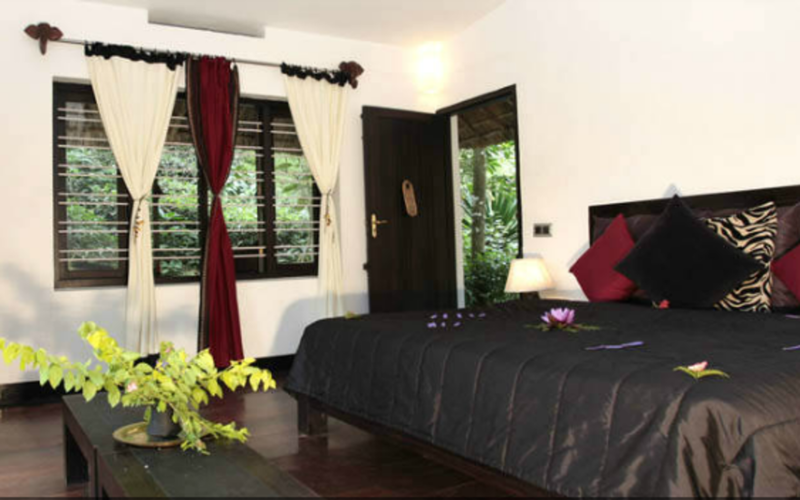 The lush foliage of spice plants surrounding the cottages provide complete seclusion. 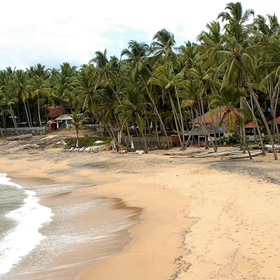 Activities include visit to Periyar wildlife reserve and spice plantation visit. 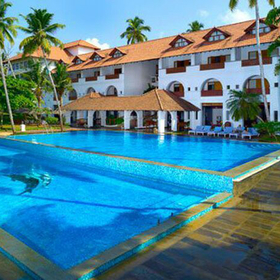 115 miles (4.5 hours drive) from Cochin International Airport. 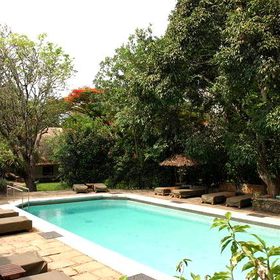 Seven standalone cottages and eight rooms. 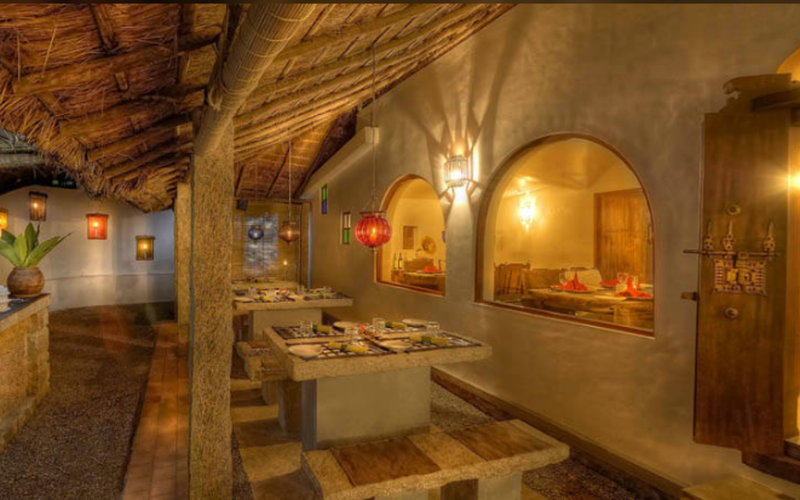 Falling Leaves, multi-cuisine restaurant offering Indian and International cuisine; Hibiscus, poolside al-fresco dining area; The Red,lounge. 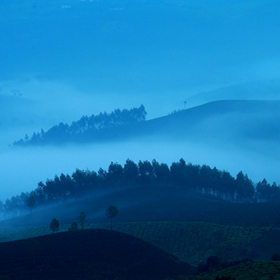 One of the 27 tiger reserves in India, the Periyar valley in Thekkady is the oldest and largest protected area in Kerala.